By now you’ve heard that good grades are a huge part of getting into college. But what do you do when you’re staring down your college applications and you have a mediocre—or straight-up bad—GPA? All hope is not lost. You can still find a college that fits you—a good college, even. But you will have to rethink where to go and how to get there. Here’s your first step: do something to boost your grades, starting now. “It’s never too late to improve, because one of the things colleges want to see is an upward trend and an explanation of why it wasn’t going so well,” says John Boshoven, counselor for continuing education at Community High School in Ann Arbor, Michigan. No matter what the case is—or how bad your grades are—you need to figure out what you learned from your experience and how you’ll do better from now on. “You can’t make excuses if you haven’t done some self-reflection,” says Kiersten Murphy, an independent college counselor in Washington State. Take classes you like. Boshoven points out that you’ll probably get a better grade in a class you enjoy. Ask your school counselor to help you pick classes that make you happy and fulfill your requirements for high school graduation and college applications. Ask for help—and mean it. If you’ve decided now to work on raising your high school grades, you’ll have to build new habits. Stop by after school and tell your teacher, “I want to do better in your class. Can you help me?” Then show you mean it. Follow your teacher’s advice. Volunteer to answer a math problem at the board. Ask your dad to hide your phone so you can study for an hour after dinner every night. Making small changes over time can help you more than you realize. Take a class online or during the summer. If you’re missing graduation requirements, or failed a class and can’t retake it, you might have to take a class outside of the regular school schedule. Your high school counselor can help you find ways to catch up with classes during breaks or summer vacation, either in person or online. Find colleges that look at the whole person. Many colleges and universities take a more “holistic” approach to making admission decisions. They look not just at your academics but your extracurriculars, intended major, and other pieces of the application puzzle to get a fuller picture of who you really are. They might even give you an opportunity to write an essay where you can explain how you’ve committed to doing better in school, or you could explain as much during an interview with an admission counselor. This might sound intimidating, but it’s a way for the admission office to learn more about who you are as a person and why you’d be a good fit for their school. Use the “additional information” section. Most college applications have a part where you can tell admission counselors anything else they need to know about you. If you didn’t write your essay about the reason for your poor grades, explain it here. Start at community college. As long as you’ve finished high school, community colleges will take you as you are. Murphy says a year of good grades here will make your high school performance matter a lot less. “Work hard, get A’s, and then transfer to an awesome school,” she advises. Start at another two-year college. If community college isn’t for you, another two-year school (like a two-year private college) might be your perfect launching pad. Like at community college, you’ll have a chance to prove yourself. But you could also have other perks, like leaving home and living in a residence hall, which can help you adjust to college life and real world. Consider a postgraduate year. Some private boarding schools offer students a “postgraduate year” (or “13th grade”) as a way to grow academically and socially before starting college. Murphy says a year in a nurturing environment and extra exposure to a high school curriculum can open many doors for colleges. “You’ll be coming in more prepared,” she says. “There are instances in which it can make a real difference.” Keep in mind these schools often charge pretty hefty tuition fees—similar to four-year colleges—but many also offer scholarships. Take a gap year. Maybe you’re burned out and need a break from school. Spending a gap year working, volunteering, or traveling could give you more clarity on what you hope to get out of college—which isn’t a bad thing for your applications either. If you’re determined to go to college, nothing can stop, including bad grades. The important thing is to commit to working hard and doing your best so you’ll end up at the best school for you. 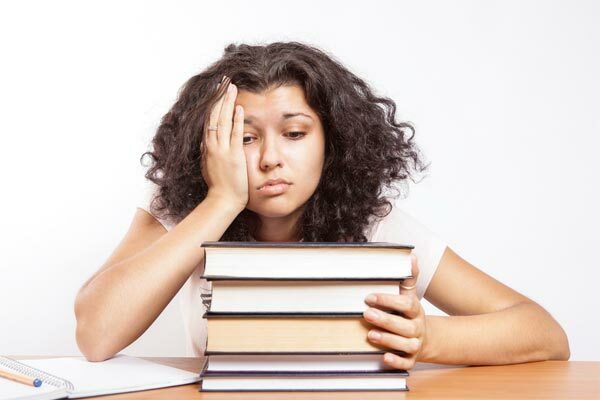 Are you struggling with a less-than-awesome high school GPA? How are you dealing with it in your college search? Share your story in the comments or get in touch with us!